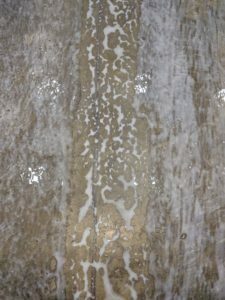 Dealing with floor joints is one of those tricky subjects that everyone seems to argue about in epoxy flooring. 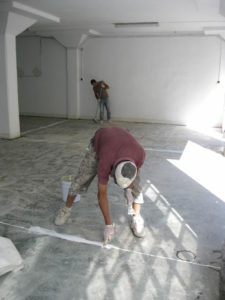 One of the great benefits of epoxy flooring is the seamless look, so we don’t want any joints to be showing. And this is where the debate begins: Should we cover the joints, and if yes, what should we use to fill the joints? We need to start by agreeing on what we mean by floor joints. The Structural (or Building) joints. These are the “big” joints. They are usually wide in thickness (1-2 cm is common) and their purpose is to allow movements of the buildings. Movements due to weather conditions, thermal expansions etc. Building joints are present in large buildings (usually over 30 meters in length) and they are also used when two existing buildings stuck next to each other have been joined together. The purpose of the joint is to bridge the two structures together. 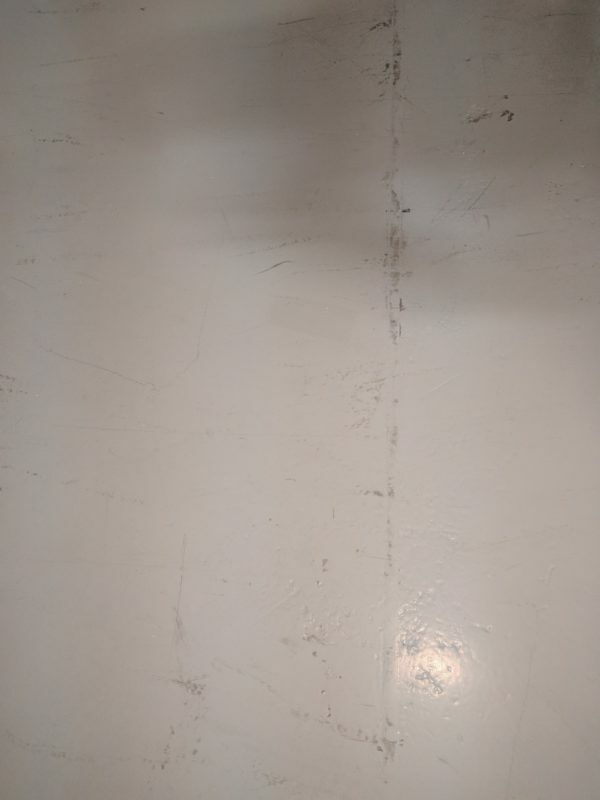 These types of joints should not be covered with epoxy. 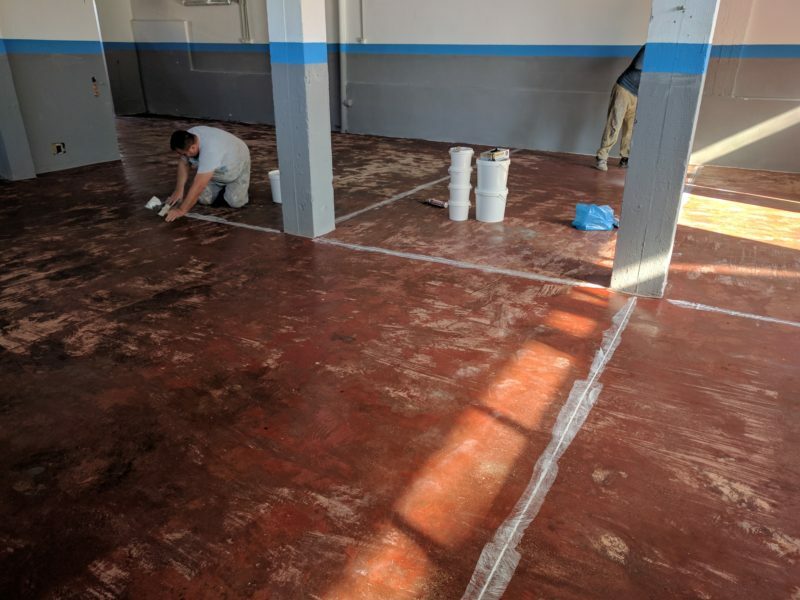 In the picture below an epoxy floor was applied in a large office building that had a key joint running down the middle of the structure. 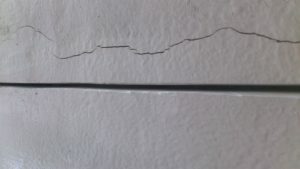 A metal joint covering separates the two segments of the building. So what can you do? The best solution is to use a joint covering. This is usually made out of metal or aluminum and it is fastened to the floor on one side of the joint (you can also use a ‘moving joint’ that is fastened to both sides). Basically you have made a metal bridge joining the two sides of the buiding, and the floor underneath is allowed to move freely. Another solution is to fill and then cut a nice neat joint down the middle. However you need to keep this joint free to move around. A third solution would be to fill such joints with a thick elastic compound (like a black rubbery compound). Do not use a conventional PU sealant as these products are not designed for large thicknesses and they will take forever to dry. Now lets move on to concrete slab joints. These joints are usually cut in the floor after casting the concrete slab. Typically they are cut at every 5-10 meters at a depth of 5mm and 5mm wide. 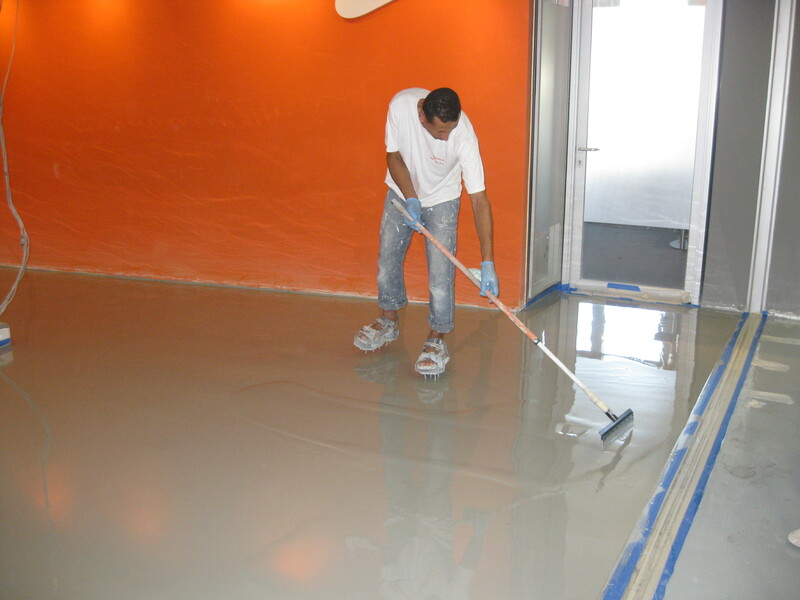 The purpose of these joints is to allow for shrinkage of the concrete during the curing phase. 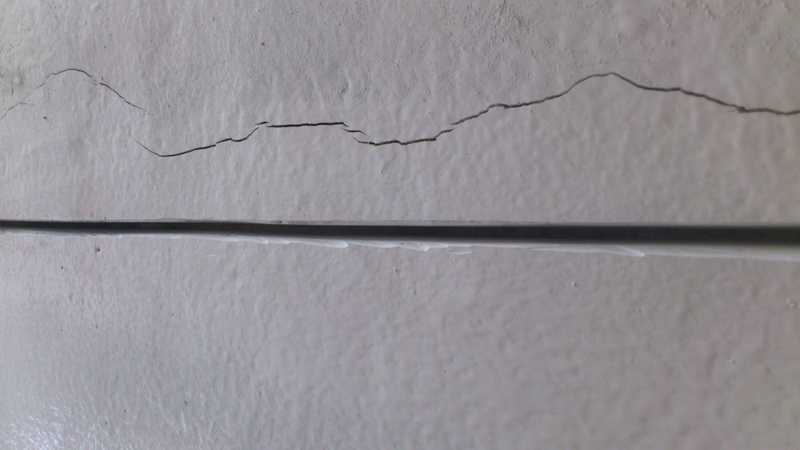 Otherwise the slab could fill up with cracks if there are no joints present allowing for the contraction. Furthermore these joints can also help in handling the load distribution of a floor. These floor joints can be covered with epoxy. In fact I would add they should be coated with epoxy so the joints don’t collect dirt and dust. The proper way to fill these joints is with a tough elastic material. It needs to be tough enough to account for floor impact but also elastic to allow some (little) movement in the concrete. And it also needs to be paintable. 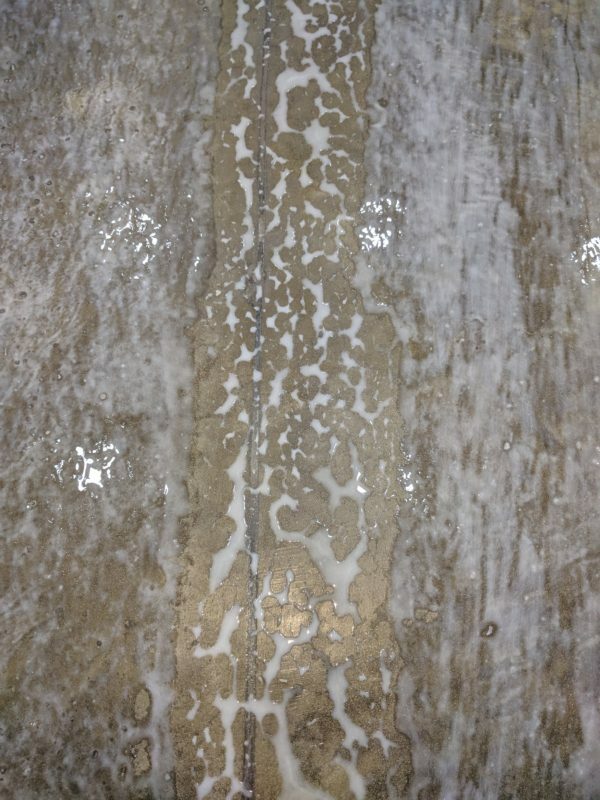 In the picture below someone mistakenly used a window glazing sealant to fill a joint only to realise that it was not paintable when the primer was applied! 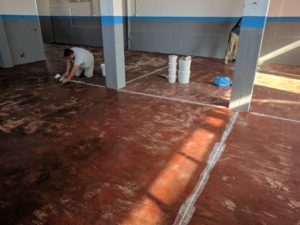 I do not support using epoxy filling grout as it lacks the flexibility, my personal choice is using an MS Polymer based sealant. I find these cure quickly, are easily paintable and are exceptionally tough. So now I want to hear your thoughts on filling joints: How do you go about dealing with joints? What materials do you use (just mention the type, no brand names please). And If you enjoyed this article please take a moment to share it with your peers! It helps me continue writing these articles!